Welcome to this serene, private oasis that inspires entertaining and gathering. 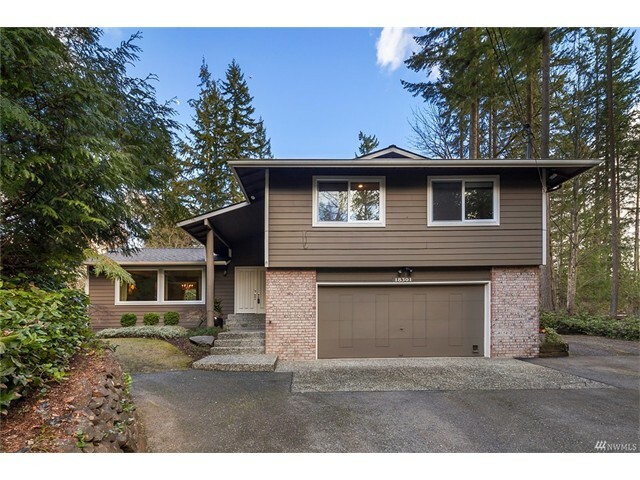 Located in a great Woodinville neighborhood, this lovely home offers 3 bedrooms, a beautiful updated kitchen, family rm w/dramatic vaulted ceilings & gas fireplace + a HUGE Bonus room w/exterior entrance & 3/4 bath, offering the perfect home based business space, MIL potential or music rm/art studio! Awesome party deck w/hot tub, BRAND NEW 30-year comp roof, upgraded windows. Great location & schools!